It is with humble acceptance of God’s will that we announce the sad demise of our beloved Mom Mrs. Rodah Nyakwaka Matsalia that occurred on Wednesday the 8th August, 2018 at St. Mary Help of the sick Hospital Thika. Wife of the late Thomas Matsalia, formerly of Kenya Railways Nairobi. Daughter of the late Paramount chief Johana Ouko of Nyahera, Mother to Taylor (late), Alex (late), Timothy (late), Sarah (late), John (USA), Frank (USA), Moses (USA), Margaret, Angeline, Vicky, Verah, Robert, Lonah, Lucky and Pamela. 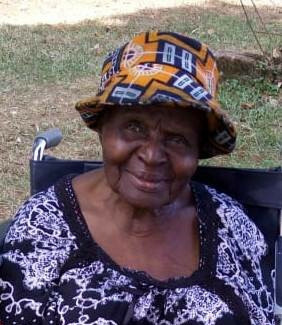 Mother in law to Joe Omondi (late), Elisha Maguke, Joan Matsalia, Ann, Jane, Paul Njuguna, John Radier, William Wambua (late).Sister in law to Ernest, Chrispo, Naaman (all deceased), of Kima Bunyore and Christine, Livingstone and Doreen Ouko (UK). Sister to the late Joseph Olang’, Elizabeth Jowi, Mary Rambim, Dr. James Ouko (late), Helen Onono, Ogada (late), Risper Omega (late), Sylvia Ominde (late), Tobias Ouko (late). Cousin to Dr. Bodo, Thomas Kungu, Ambassador Noah (late) among others. Grandmother to over 20 grand children including Beryl, Thomas, Diana, Jeff, Taylor, Charles, Tina, Brandon (USA). Daily funeral arrangement meetings are on-going at Vicky’s residence in Kimathi Estate, Thika House No.1002 and a final meeting will be held at NPC Valley Road, Nairobi on Tuesday 14th August at 5 pm. The memorial service will be held at NPC Thika on Wednesday, 15th August at 4.00pm. The cortege leaves Thika on Thursday the 16th August for burial in her rural home East Bunyore Kima Village in Vihiga County. The burial will take place on Saturday 18th August, 2018.